The House passed a background check bill that would allow federal authorities more time to conduct background checks on would-be gun purchasers. The bill faces long odds of being adopted in the Senate. Thursday's bill seeks to close the so-called "Charleston loophole" that allowed an avowed white supremacist to buy a gun used to kill 9 people at Mother Emanuel AME in Charleston. S.C., in 2015. Currently a gun seller has to wait three business for federal investigators to conduct background check. Most checks are quick, but incomplete data can sometimes cause a delayed response. If the delay lasts more than three business days, the gun sale can move forward. 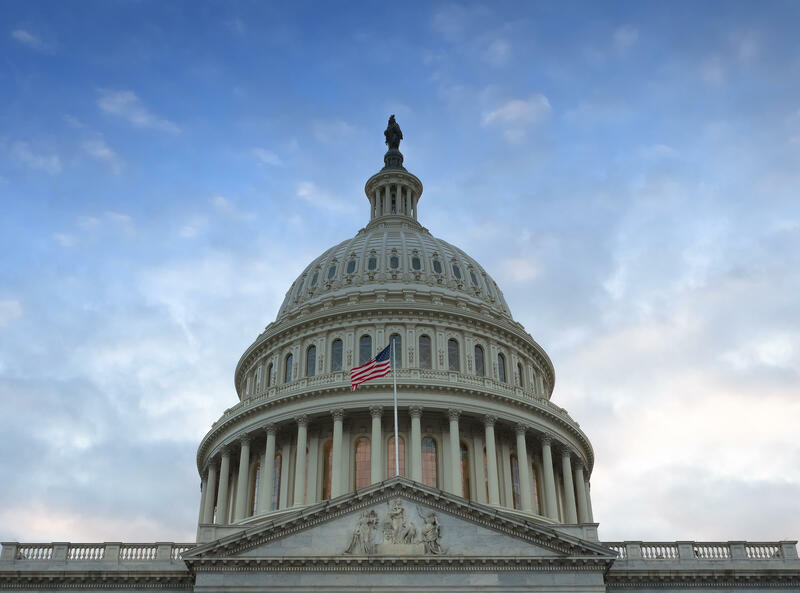 The Enhanced Background Checks Act of 2019 expands the background check period to ten days, with the potential to be extended another ten. Critics of the current system say the Charleston shooter would have been barred from obtaining the gun had investigators had more time to dig into his record and discovered his drug arrest. But gun rights groups point out that the shooter had the gun for two months before he committed his crime. They say that was more than enough time for the authorities to complete the check and order the confiscation of his newly-purchased gun. An internal FBI review and a federal court judge have criticized the background checkers in that case for failing to follow up in their inquiries. As NPR reported in 2017, the shooter has been convicted and sentenced to death. Speaking before the final passage, Rep. James Clyburn, D-S.C., the House Majority Whip, acknowledged the widow and daughters of Rev. Clementa Pinckney, one those victims in the 2015 massacre, seated in the House Chamber. He added by the time authorities discovered the shooter should have been ineligible to have the fire are "it was too late." "As a result those poor souls lost their lives," Clyburn said. "Let's give the FBI, let's give the authorities enough time to do their jobs. We'll save lives." Most House Republicans did not support the legislation, including Rep. Doug Collins, R-Ga. He said increasing the waiting time for someone to get a gun could make victims of abuse or people seeking to defend their families in more danger. "This bill will empower abusers and violent predators by making their victims more vulnerable," Collins said. "It will do nothing to make our communities safer but it will make it harder for law-abiding citizens to exercise their second amendment rights." An amendment to give federal background checkers access to a larger criminal database called the National Data Exchange failed to get enough support, and was withdrawn. Proponents of the idea say it would make up for information gaps in the National Instant Criminal Background Check System, or NICS. Neither Thursday's bill or the one passed on Wednesday, dubbed the Bipartisan Background Checks Act of 2019, is expected to garner much support in the Republican-controlled Senate. The White House has signaled it would veto the bills in the unlikely event either reach President Trump's desk.